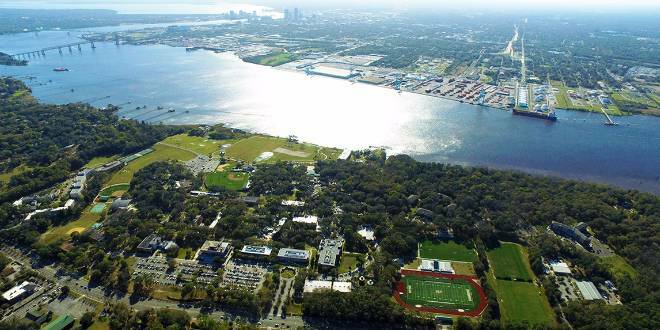 Biology & Marine Science | Jacksonville University in Jacksonville, Fla. Biology is the study of life. From the minuscule building blocks of life to bacteria, plants and animals of all kinds, the biology program at Jacksonville University offers you great opportunities for learning more about living organisms. While the program ensures a breadth of knowledge, you can tailor your studies to focus on molecular and cellular biology, microbiology, ecology, or on plant and animal biology. You’ll find small classes with hands-on lab and field experiences in many of the courses. Biology students at Jacksonville University often complete paid internships with local government agencies or tailored research experiences with faculty members. ​Biology is also one of the most popular majors for pre-med students and others interested in the health professions such as dentistry and pharmacy. As a “pre-professional” student, you will be advised about what classes to take to prepare yourself for graduate study. Jacksonville University graduates have a high success rate for gaining entrance to medical school. Many say that small classes and personal interest from faculty members contribute to their success in health and science graduate programs. The marine science major at Jacksonville University emphasizes the multi-disciplined approach necessary to understand the marine environment. Using a diverse offering of marine science courses, the major includes a strong foundation in the elements of chemistry, physics and physical science as well as life sciences. Students may focus their studies in one or more of these areas by careful selection of their elective courses. Jacksonville University's marine science graduates have gone on to successful careers in a variety of areas. Some of their employers include Sea World, Naval Oceanographic Office, Maryland Department of Natural Resources, National Oceanic and Atmospheric Administration, Florida Department of Environmental Protection, Florida Division of Parks and Recreation, Florida Fish and Wildlife Commission, and Florida Fish and Wildlife Research Institute.